I am trying a new way to organize the kids thru the school day and help me keep track of what is done. It also keeps things neat and tidy too! Each tray has a subject and each kid has their own cart. I will surprise them each day w a drawer or two that has something fun in it to give them something to look forward too. 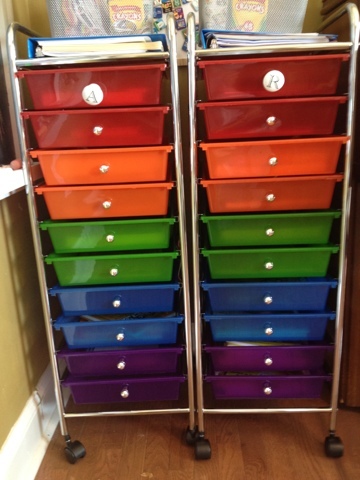 If u google workbox u will find tons of ideas!